1~ I never wanted to be a mother. God had other plans. I wouldn’t change it for anything. 2~ Being a mom has totally changed me. It will. Nothing will ever be the same. You will never be the same person you were. It’s a good thing. 3~ I became a REAL warrior the day I became a mom. 4~ Though I didn’t birth my children, my love is as strong and encompassing as if I had. 5~ Though I loved my children from the day they came to live with us, I remember clearly the moment I fell “in love” with them. That feeling made all the sacrifice and hard times possible. 6~ Being a mom keeps me really, really close to Jesus! It also helps me understand God’s love for me. 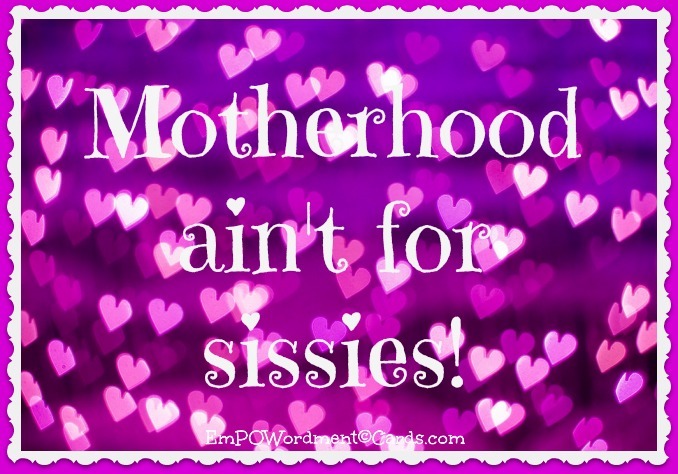 7~ Motherhood ain’t for sissies! It’s exhausting, yet immensly satisfying, to be a mother. No one should take the calling and privilege lightly. 8~ You don’t have to be a mom to love children with all your heart. Our children need you! Love them with all you have. There you have it. Wisdom from an old mama. Previous postBe So Good They Can’t Ignore You! 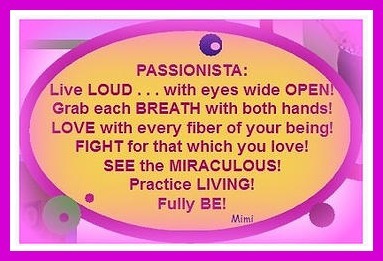 Reblogged this on Particular Passions~Blog for Passionista At Large.